This week in North Philly Notes, Anna Sampaio, author of Terrorizing Latina/o Immigrants, writes about sanctuary cities and immigration enforcement policies that continue to discriminate against foreigners. Congress is once again embroiled in a debate about security and safety that trades on racialized fears of Latina/o immigrants, constructing them as criminal threats ready to take advantage of the generosity of “sanctuary cities” and calling upon an army of local law enforcement to aid in their restriction, detention and removal. 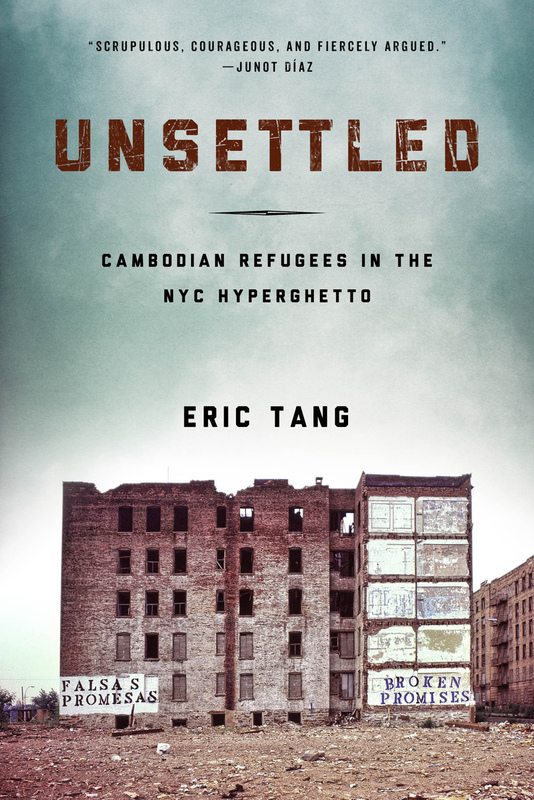 In addition to being wholly manufactured, these debates around security and threatening foreigners plays to the worst instances of racism and allows for an entire population to be summarily targeted without justification. Moreover, the new legislation banning so-called “sanctuary cities” extends a pattern of restriction and punishment aimed at Latina/o immigrants to cities, states, and local governments that refuse to conform – locations such as San Francisco that have the audacity to uphold constitutional protections, due process, and the safety of all its residents. Lost in the conservative fervor surrounding the new sanctuary city legislation is the volume of existing legislation, policies, departmental directives, programs, initiatives, task forces, databases, regional and local associations, vigilante groups along with a myriad of federal, state, and local departments devoted almost entirely to targeting, scrutinizing, restricting, encumbering, detaining and ultimately removing the population of immigrants at the center of the sanctuary city debate. In other words, immigration politics and policy has been steadily reorganized and restructured over the past 25 years into a system centered disproportionately around restriction and enforcement. Beginning in the early 1990s, with the shift in enforcement strategies emphasizing “concentrated enforcement” along the U.S.-Mexico border – restrictionists in Congress buoyed by anti-immigrant hysteria dedicated unprecedented resources and money to targeting, detaining and removing undocumented immigrants. This included large scale increases in border patrol agents and increased time spent on border control activities, installation of fencing and physical barriers, and use of advanced surveillance equipment such as sensors and video equipment, infrared night-vision devices, forward–looking infrared systems, and drones. By 1996, efforts to deter undocumented immigrants through programs such as Operation Gatekeeper had effectively militarized the border while worksite raids resurfaced across the country. Moreover, the budget for INS doubled between 1993-1997, from $400 million to $800 million. This dedication of unprecedented resources, time, and money toward restricting largely Mexican immigrants was succeeded by an era of enforcement, fed by a host of anti-immigrant legislation in the late 1990s that was accelerated in the era of security after 9/11. Anti-immigrant legislation proliferated in the late 1990s most notably with the passage of the Anti-Terrorism and Effective Death Penalty Act (AEDPA), Personal Responsibility and Work Opportunity Reconciliation Act (PRWORA), and the Illegal Immigration Reform and Immigrant Responsibility Act (IIRIRA). Together, these laws increased scrutiny of immigrants, increased penalties for unlawful presence, severely restrained judicial review and due process, facilitated increased detentions and deportations, and created a system to expand immigration enforcement by deputizing local law enforcement as immigration agents. This union of local and federal immigration agents facilitated through the creation of 287 (g) agreements “permitting designated officers to perform immigration law enforcement functions,” eroded the standards for separation between these law enforcement agencies enabling increasing entanglements such as Operation Return to Sender, the Secure Communities Program, fusion centers, the proliferation of Fugitive Operation teams carrying out large scale raids and round-ups. Despite evidence of widespread racial profiling, insufficient oversight from the federal government, inadequate training, and incidents of abuse designed in some cases to “purge towns and cities of ‘unwelcome’ immigrants…resulting in the harassment of citizens and isolation of the Hispanic community” these collaborations between federal immigration enforcement agents and local law enforcement only proliferated after 9/11 as did the targeting and terrorizing of Latina/o immigrants. Thus, between 2001-2009 over 2000 immigration related bills were introduced into Congress with the vast preponderance of those signed into law restricting immigrants and the most common and consistent restrictions resulting from expansions of law enforcement scrutiny made possible through the empowerment (or extension of capacity) of local and state level law enforcement to execute greater levels of investigation, review, apprehension, and/or cooperation on immigration matters. After 9/11 this process of deputizing local law enforcement to act as immigration agents, gained renewed vigor as additional memoranda of understanding were crafted between federal agencies and local law enforcement, and state and local personnel were granted security clearances required to access secured information in federal databases. With the creation of the Secured Communities Program in 2008 state, local and even tribal law enforcement agents had become thoroughly intertwined with federal immigration enforcement and consequently the number of immigrant detentions and deportations skyrocketed. Constructed as threats to national security, immigrants were now exposed to arrest and in several cases extended detention for even minor infractions of local ordinances, and increasing deportation. Between 1999 and 2007, immigrant detentions increased by 78%; more importantly, many of those deported committed no actual crimes or only minor infractions that were elevated to deportable offenses within the changes in legislation. 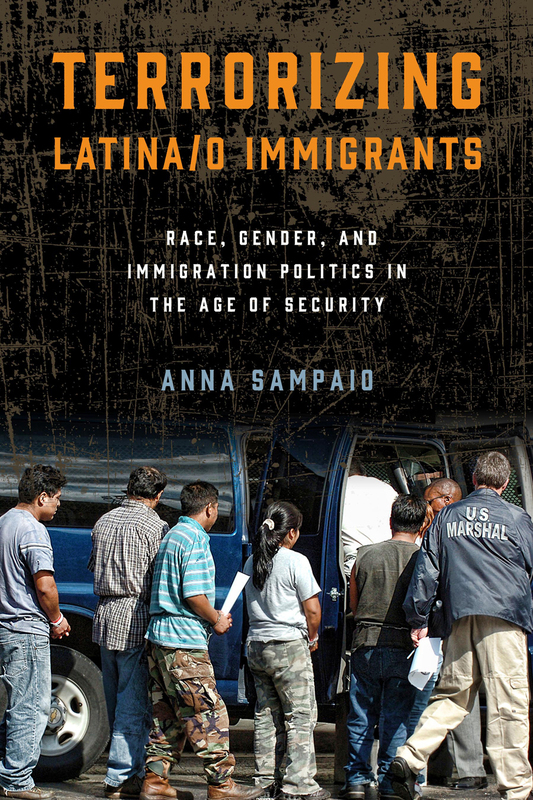 Latina/o immigrants overwhelmingly bore the brunt of this system of security and enforcement as they constituted the largest percentage of foreign born persons but equally because the new legislation and policies rested on the manipulation of racialized fears of this population as foreign and threatening. This despite the fact that among the millions of Latina/o immigrants apprehended, detained and/or deported in this era of security, and despite claims to increasing public safety, no evidence of terrorist activity or threats to homeland security has been found among those apprehended. Moreover, despite Trump’s description of Mexican immigrants specifically as “criminals and rapists” the reality is that immigration has become increasingly feminized and costs of a system focused on enforcement, detention and deportation has been felt in additional women, parents, and children being incarcerated or separated. Thus, as Congress and individual states once again debate enforcement and greater security against alleged criminal threats posed by Latina/o immigrants we are well served to remember the billions of federal, state and local dollars, time and resources already spent on scrutinizing, restricting, detaining and removing a population that poses no actual threat. In particular, the extension of immigration enforcement to local police and sheriff officers has not increased public safety or security, has not rooted out terrorist associations or abated homeland security risks, but has succeed in terrorizing a population already made vulnerable by the current immigration system. Moreover, heightened scrutiny has generated increasing numbers of detentions, (including indefinite detentions), deportations, raids in immigrant communities, criminalization of legitimate expressive activity, denial of basic services, rising fees, and persistent harassment at the hands of multiple law enforcement agents, with few if any sources of support or respite. In short, the only interests served by the new legislation banning sanctuary cities are lawmakers looking to whip up racialized hysteria among their constituents in an election year, or enforcement institutions who stand to make millions more in further detention of immigrants. 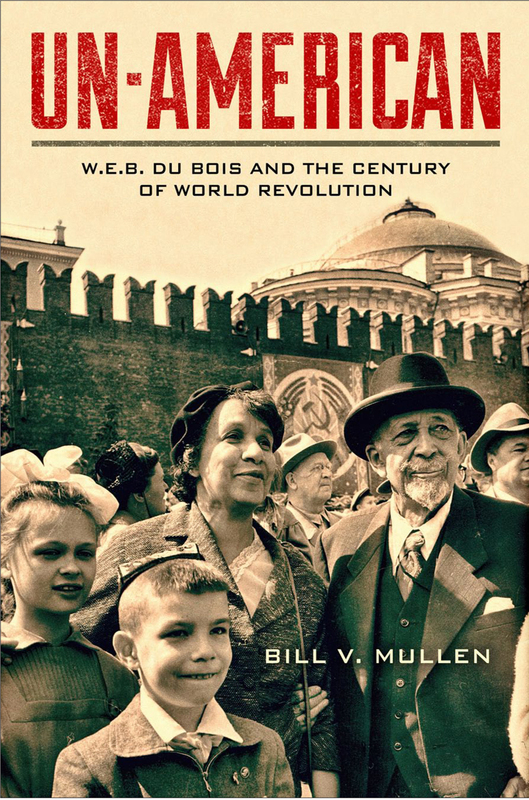 This week in North Philly Notes, Bill V. Mullen, author of Un-American, writes about the legacy of W.E.B. Du Bois. The historical memory of Dr. Du Bois as an instigator and agitator of world-historical change is one Un-American seeks to resurrect and reconstruct. Too often, the W.E.B. presented in high school and University classrooms and in public commemoration is a genteel Dean of African American letters, an avuncular “race man” whose career is often reduced to sound bite-size passages from The Souls of Black Folk on “double consciousness,” his political thought caricatured as the frowning narrative of a village elder who drifted from civil rights dedication to blind advocate for socialism. American exceptionalism, anti-Communism, and the Cold War have much to do with this misremembering and misrepresentation. Du Bois’s books were removed from shelves during the 1950s and 1960s owing to his statements of support for revolutions in China and the Soviet Union. Close friends, Black and White, abandon Du Bois late in life when he refused to denounce Stalin’s crimes, and continued to criticize the U.S. government as what Martin Luther King, Jr. would later call the “greatest purveyor of violence” in the modern world. Un-American argues that remembering Dr. Du Bois accurately, and fully, requires remembering him as the rest of the world saw him and knew him. Because of his radical political commitments, Du Bois’s stature as a public intellectual and global figure rose outside the United States in inverse proportion to his shaming and blacklisting at home. 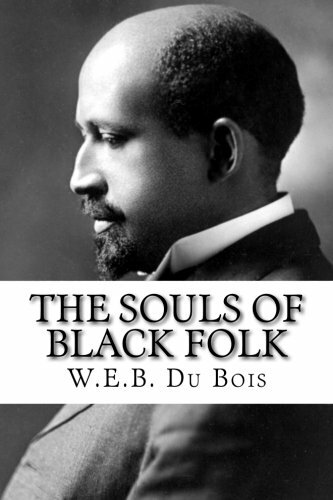 Not just in the Communist world he himself embraced, but across Africa, Asia, and Europe, Du Bois by the end of his life was something like the Muhammad Ali of African American intellectuals of his time. His global reputation for international support for anti-colonial struggles, for the struggles of working-class people, for his criticism of imperialisms in all forms, also paved the way for world-wide recognition of Malcolm X and the Black Panthers who were themselves inspired by Du Bois’s global political and intellectual reach. Indeed, Du Bois was a transnational globe-trotting voice for change throughout his life, from his first, trip to Berlin as a student in 1892, to his death in Ghana in 1963. Un-American then seeks to remember the “worldly” Du Bois whose embrace of and support for what the Communist International called “world revolution” is the most important vector of his political life and legacy. Recognizing this Du Bois means leaving behind not just provincial, nationalist frameworks for analysis, but appreciating the “scholar-activism” Du Bois himself set for himself as the highest bar of achievement. Put another way, writing a book about Du Bois in 2015 demands thinking through the warp and woof of theory and practice as it relates to building social movements, constructing international solidarity, conjuring transnational affiliation. It means engaging honestly and critically with the best and worst of revolutions made in the name of justice across the world in the last century, mindful of Walter Benjamin’s caution that “progress” can be both an excuse and a euphemism for brutality. At the end of his life it was Du Bois the advocate for peace, for economic equality, for popular sovereignty, for universal health care, for women’s emancipation, for decolonization, for workers’ rights, for a nuclear-free world, that the planet grieved for in his passing. Un-American seeks to recreate a memory of that Du Bois as a way of mobilizing it and him for our own present and future. As a current generation struggles against the same forces of police violence and racism the impelled Du Bois forward more than 70 years ago, we do well to remember that the long arc of his life and career bent not just toward justice but to political and social revolution. His life remains a blueprint for the possible. 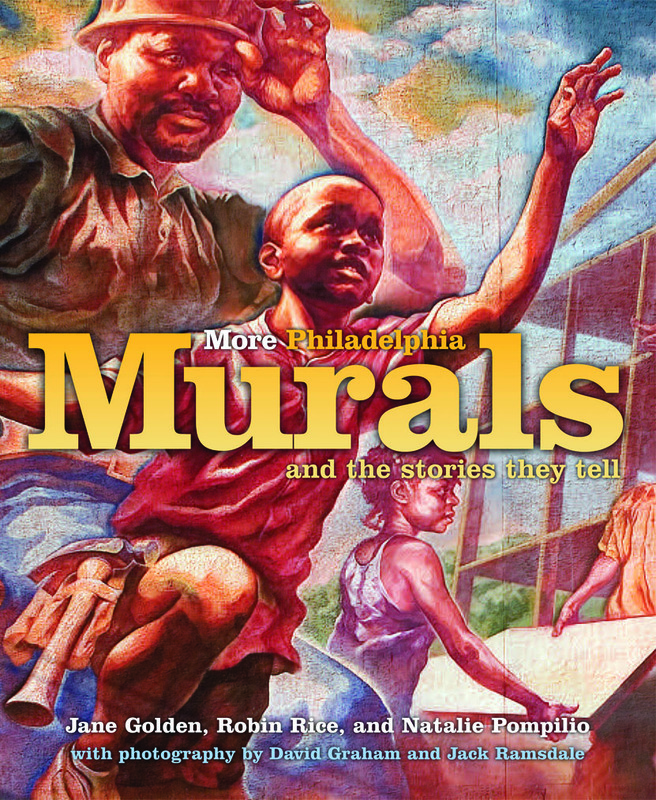 This week in North Philly Notes, we celebrate Mural Arts Month with a rundown of the various events sponsored by the City of Philadelphia Mural Arts Program. This October, amid the crisp fall leaves and sunny blue skies, we hope you’ll join the City of Philadelphia Mural Arts program for Open Source. 14 artists from Philadelphia and around the globe joined forces with Mural Arts to create a citywide, month-long explosion of phenomenal public art that’s housed all across the city. With over 40 Open Source events in October, there is something fun, unusual, educational, or fascinating going on almost every day. Not sure where to start? Here’s an Open Source overview. Expand your horizons with Open Source lectures and artist talks. Shepard Fairey talks about Jasper Johns at the Philadelphia Museum of Art, Sam Durant and others walk us through the labyrinth of the criminal justice system, creative people from across Philadelphia join the conversation with our muraLAB Live, and so much more. The wide-ranging discussions and intellectual explorations are the perfect time to get a taste of the innovation fueling Philadelphia’s creative life. Discover the story behind the art with an Open Source tour. 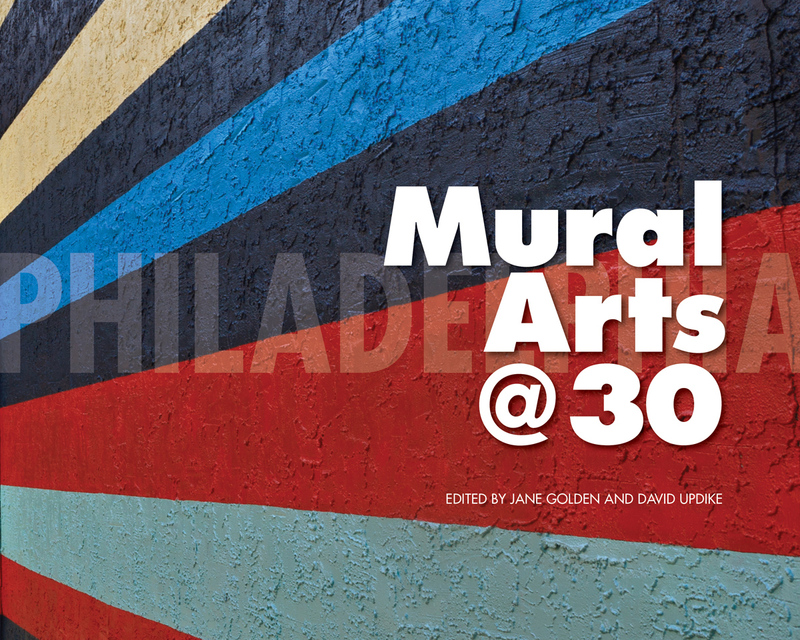 Guest tour guides like Mural Arts Executive Director Jane Golden, Open Source curator Pedro Alonzo, and Streets Dept photojournalist/blogger Conrad Benner will lead you through the art of Open Source, giving you the insider’s view of the biggest outdoor exhibition Philadelphia has ever seen. You can tour the art on the northern side of the city, the southern side of the city, all around Center City, or grab a combination ticket and see it all. You’ve read about the art. Now, come make your own! Check out street artist MOMO at The Franklin Institute to try your hand at art and geometry or join Heeseop Yoon on October 29 to learn how to use masking tape to create art. Find Open Source in Center City on October 16 for our Philly DJ Mural Block Party, as we celebrate the end of the Philly DJ Mural Project, a yearlong program with a creative spin on music education for youth. Celebrate Shepard Fairey’s new mural, honoring Philly’s rich DJ history, and dance for hours to jams from Rich Medina, Cosmo Baker, Illvibe Collective, and Scratch Academy. Need more Open Source? 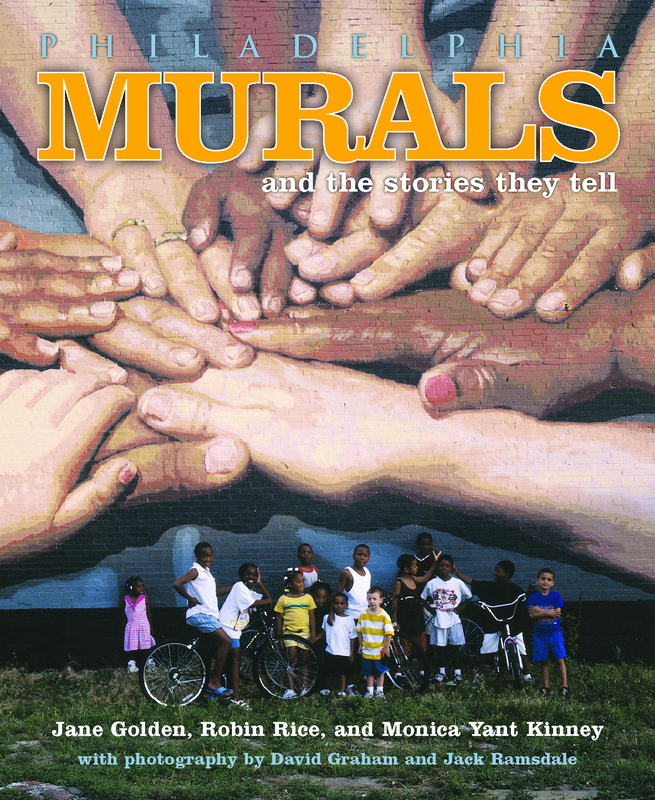 Visit opensource.muralarts.org for information about the exhibition, events, and the Mural Arts program.